The only annual New Jersey conference on inclusive practices featuring nationally recognized presenters and relevant workshops that promote and support progressive change focused on educational experiences and environments that are INCLUSIVE and meaningful while valuing and respecting the diversity of ALL learners. Join over 650 educators, parents, and inclusion experts at NJCIE’s 17th Annual summer Inclusion Conference! Attendees may earn up to 7 professional development hours per day! Marilyn Friend, Ph.D., has spent her career as a general education teacher, special education teacher, researcher, professor, administrator, teacher educator, and staff developer. She is Professor Emerita of Education in the Department of Specialized Education Services at The University of North Carolina at Greensboro, and she is Past President of the Council for Exceptional Children (CEC), the largest international professional organization dedicated to improving the educational success of children and youth with disabilities and/or gifts and talents. 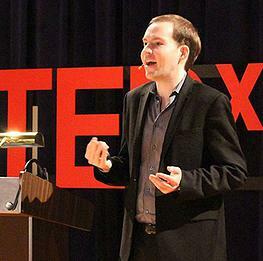 Kerry Magro is a 29-year-old national motivational speaker, disability advocate & consultant. In 2011, Kerry won Autism Society’s Outstanding Individual with Autism Award. Kerry’s book “Defining Autism From The Heart” which discusses his early years with autism came out last summer where it became an Amazon best seller for Special Need Parenting! Kerry’s 2nd book “Autism and Falling in Love” was released in Dec 2014. Last August, Kerry also contributed to the book College for Students with Disabilities with autism advocates such as Dr. Temple Grandin. Kerry sets out to help our society and is well known for his consulting efforts to help others in need. In 2009, Kerry also started KFM Making a Difference, a non-profit organization that gives scholarships for adults with autism to attend college. Kerry became an advocate for the disability community after coming out about having autism for the first time while attending Seton Hall University as a freshman in 2007. Since than he has spoken to break down barriers of hate and intolerance towards those with special needs. Michael Steinbruck, MA is Program Coordinator at The Boggs Center on Developmental Disabilities. Mr. Steinbruck’s programmatic focus is on developing the Person Centered Approaches in Schools and Transition (PCAST) project. He leads the project’s training and technical assistance activities related to the development and delivery of person centered thinking and planning, and works with schools on implementation of person centered approaches and related organizational improvement efforts. Mr. Steinbruck has more than 25 years’ experience in facilitation and training various person centered thinking and planning approaches and is a Mentor Trainer in person centered thinking and planning as certified by The Learning Community for Person Centered Practices, Inc.
Rhonda Bondie, Ph.D., is a lecturer on education at the Harvard Graduate School of Education. Her years of experience and extensive research on inclusive teaching has yielded the book, Differentiated Instruction Made Practice: Engaging the Extremes through Classroom Routines, Routledge. She began her career as an artist-in-residence, teaching required curricula through the arts to K-12 students with diverse abilities. Rhonda taught in urban public schools for more than two decades in both special and general education classrooms, working with many students who were learning English as a new language. Rhonda’s research focuses on sustainable differentiated instruction practices using self-regulated learning and motivation theories. Rhonda creates and shares practical classroom routines that are rooted in what we know about effective and efficient learning all around the world. Annual Poster Contest & NJCIE Honors! At the 2019 Summer Inclusion Conference, NJCIE will announce 2019’s Annual Poster Contest Winner along with the educators winning the NJCIE Honors in 2019. Don’t miss it!